Merely two months passed since the BWSC competition, but it seems like a year. 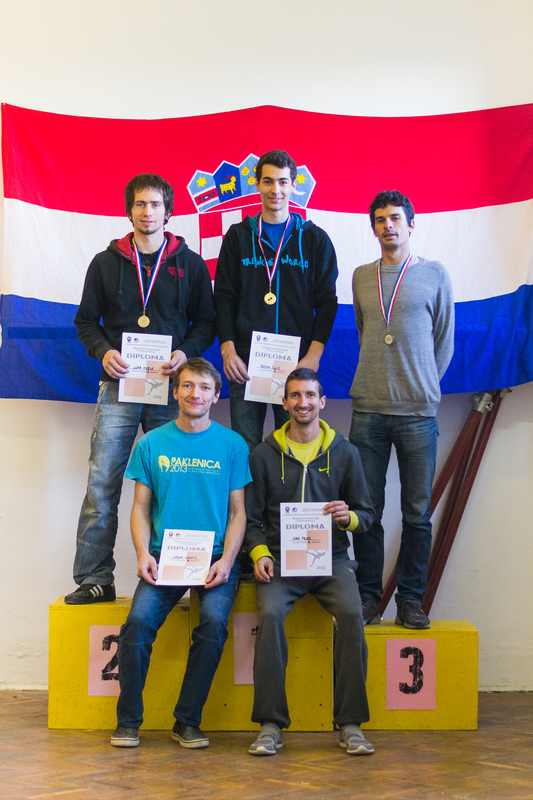 After the BWSC, there was no time to waste, Croatian bouldering championship in Pula was just two weeks ahead. I did a couple of training sessions on plastic to remind myself how to pull hard, but after 3 months of 6b-jug-climbing, it felt like my body will fall apart. It amazes me how quickly and efficiently the body adapts: you train, fell like super-fit speed climbing machine, and suddenly “normal” climbing starts to be awkward and strange. I left to Pula without big expectations. I was hoping to enter the finals, and did exactly that – just barely squeaked into. At the end, I took 6th place – sturdily :). Happy with the result, but to do better next year, a bit more (or a lot more) training is needed. Young-guns are becoming really strong. I really enjoyed the competition, this is always a nice opportunity to meet friends from all over Croatia. 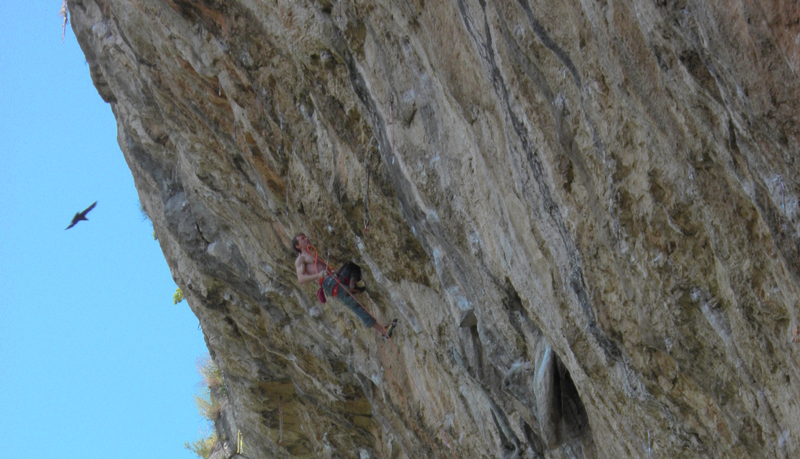 After Pula, it was finally time for some normal climbing again, without competition, pressure and stopwatches. My girlfriend Petra and I, were eager to make use of the benefits of living in Slovenia. There is a ton of crags, and most are within 1h driving from Ljubljana. One day you can climb in beautiful alpine setting, and the other enjoy sunny sea side. We visited some of the regular climbing spots, but also some of the less traveled ones – Slovenian friends are still making fun of our choices :). Particularly interesting was the crag named Pod Sušo. A relict from history, with plastic and drilled holds here and there, red restricting lines and hard-as-hell vertical routes. Anyway, it was good for getting back in shape, and I managed to send a few 8as and onsight a 7c (not at Pod Sušo 🙂 ). Two weeks ago, I decided to check out an old project at my home crag, Vranja peč. Vranja is a small piece of rock deep in the Zagorian forest, where mosquitos abound and gentle 0.5 promiles of alcohol are in the air :). The routes are just like the local drink rakija: short and intense. 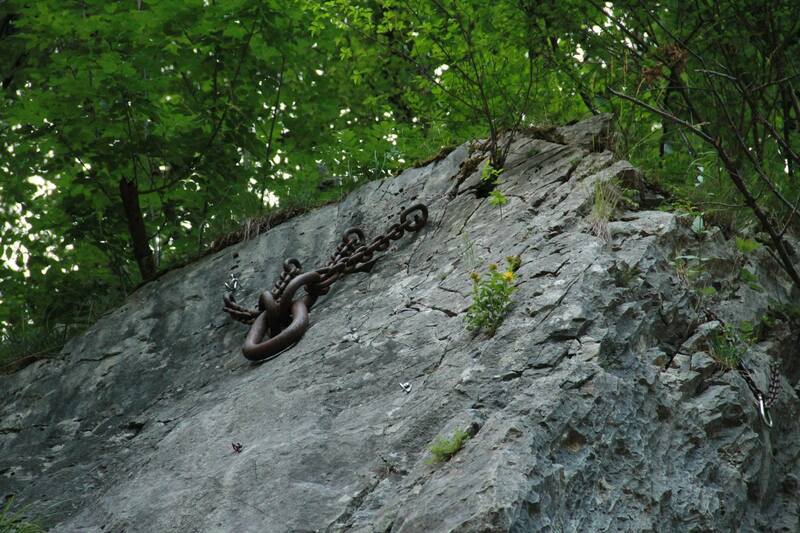 Only one line remained unclimbed there, an old project Igor Čorko bolted about 6 years ago. I was fumbling with this route for years now, but just couldn’t do the moves. This time I envisioned some very unobvious beta – and it worked! It features probably the hardest shoulder move I have ever done on rock.